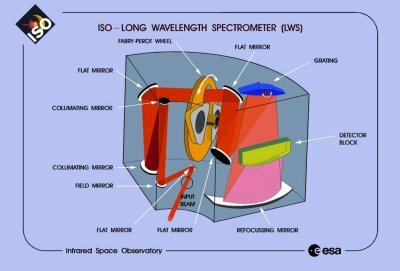 The Long-Wave Spectrometer (LWS) operated at the 45 to 196.8 μm band. LWS has focused on cooler objects than SWS. It is especially useful studying the physical condition in very cold dust clouds in the space between stars.